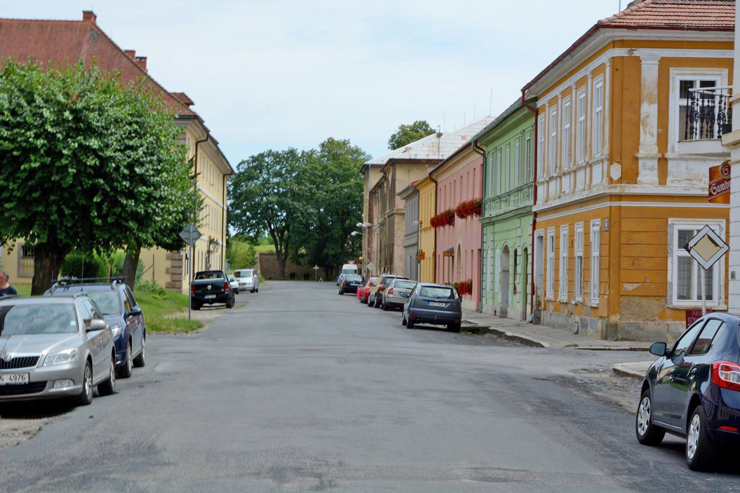 In Part 2, having visited the small fort and concentration camp of Terezin, Ben’s tour takes him to the former ghetto just beyond the fort to explore where many of the Jewish inhabitants were housed during this period. Terezin Concentration Camp, the large fort or Theresienstadt (as it was also known), held many Jewish elders and children. The ghetto was used as a model camp to showcase how nice it was for the people living within. This was recorded for propaganda videos and also visited in person by the Red Cross. Buildings were cleaned up and painted, shops opened and there was even a coffee shop with live music. The fittest and healthiest were recorded within these places to portray a comfortable and pleasant place to live. In reality this was not the case. Today, walking around the town the buildings and square are very picturesque. Many of the buildings now have memorial plaques in memory of the residents from 1942-1945. I failed to notice as we drove into the town that we had passed through a gate way. It wasn’t until I walked the streets and could see that at the end of each road, the wall that surrounded the town was visible. It was a quiet place and with a strange atmosphere. 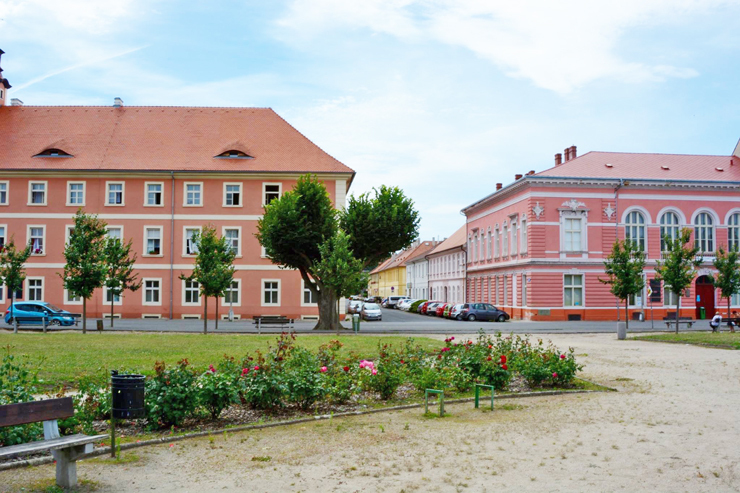 The first stop in the town was to the former boys school, here some of the estimated 10,500-15,000 children to have been sent to Terezin would have attended. 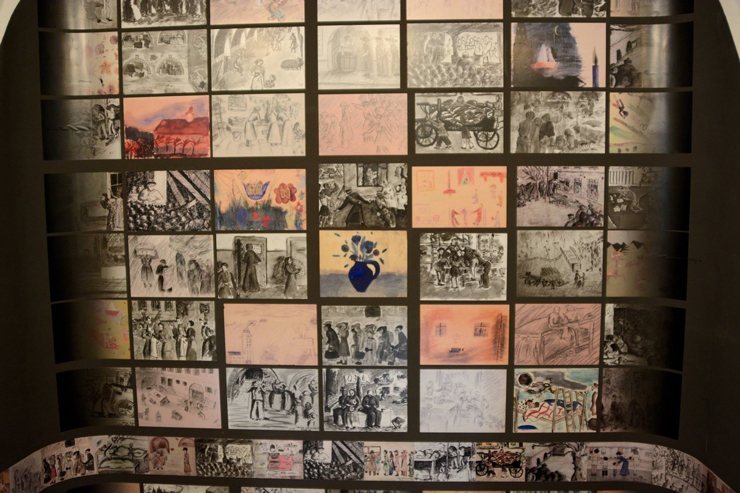 On display within the former school, now a museum, were illustrations which had been drawn by the children of the camp. These depicted what it was like to live there through their own eyes. 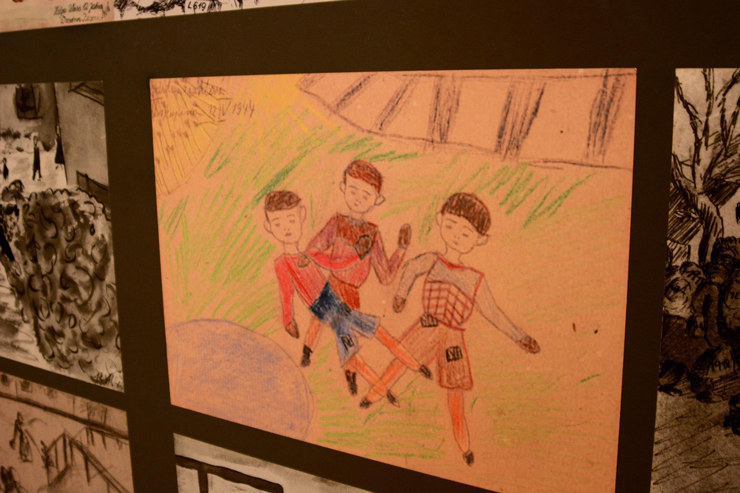 One drawing in particular by a child who was at the camp has really stuck with me. Out of all the artwork I saw by the children, this stands out for different reasons. The fate of the artist I do not know, but I fear that they would not have survived. Does it show the innocence of children within a concentration camp not knowing the full truths? Is it a picture of him playing with his friends in the sun on the grassed area by the fountain in Terezin square? Or a picture of his friends as he watched? The sad thing that gets me, was this an innocent drawing? Is this his friends lying dead within Terezin? 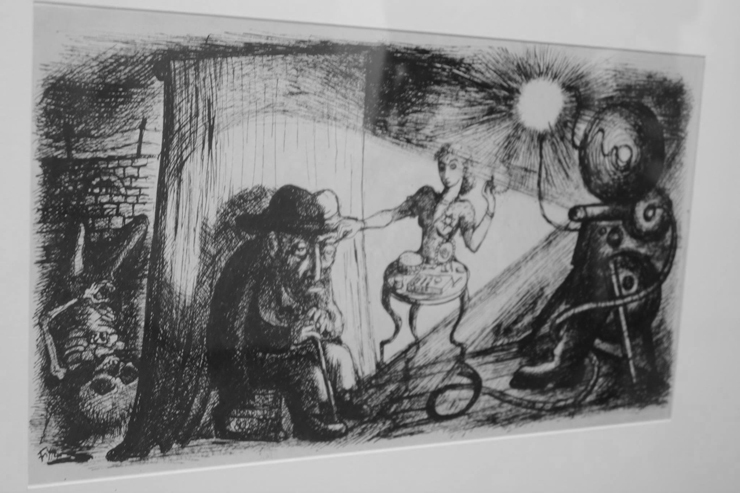 I had to face facts that this was within a concentration camp, and that is the sad reality this drawing could show, the awful fate of his friends. 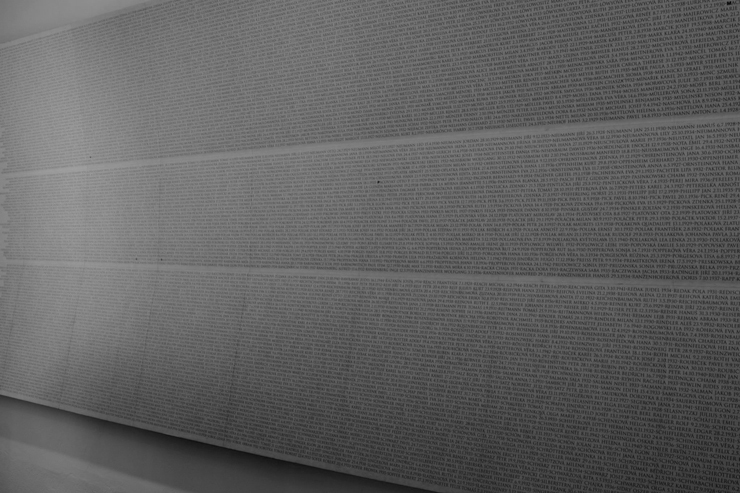 Within the school is several memorial walls with the children’s names recorded on it, only around 245-300 survived. To try and find out more on the children of Terezin, after some research I’ve now ordered two books. ‘Hana’s Suitcase’ and ‘I never saw another butterfly’, both can be purchased online. The darker side is shown in the adult artwork displayed within another museum in the town. The illustrators of these pictures were told by the Germans to draw happy and pleasant things. To study the pictures you can clearly see the darker side to them and the true meaning. One was of a stage show which they were allowed to perform within the camp, but in the background a skeleton in the closest is shown. The community within the camp were allowed to perform plays and compose music. This formed a big part of what life was like for them. This may seem strange to people but by allowing this, it quelled any potential issues within the camp. Music composed within the camp can still be found today. Some of the music at the time was banned by the Germans as they believed that it was written about the Nazi’s and the Führer and not suitable to be played within the camp. 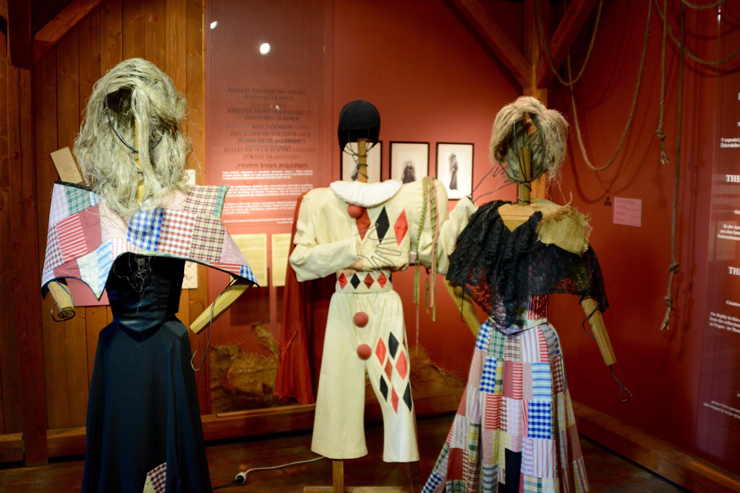 A children’s opera play ‘Brundibar’ was performed within the camp. A special performance of this was carried out for the Red Cross upon inspection. I have been listening to this today and there is a clear undertone to this with the words spoken and the overall meaning of the performance. 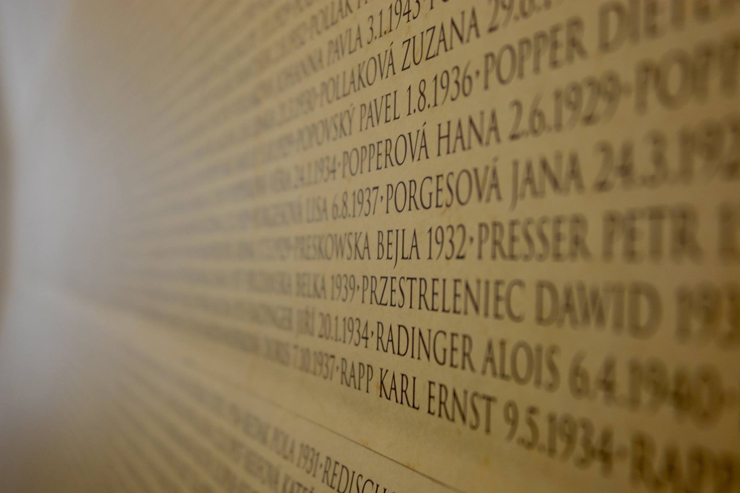 It is worth considering listening to either prior to or after a visit to Terezin. The tour was nearing a conclusion and the final part took us on a short walk to the edge of the town to the railway station. This is where I find it hard to put into words what I was now seeing, this was the point of no return and for hundreds of thousands of people, their final journey. The Nazi’s ‘Final Solution’, these railways lines were to transport the camps inmates to extermination camps such as Auschwitz and Treblinka. 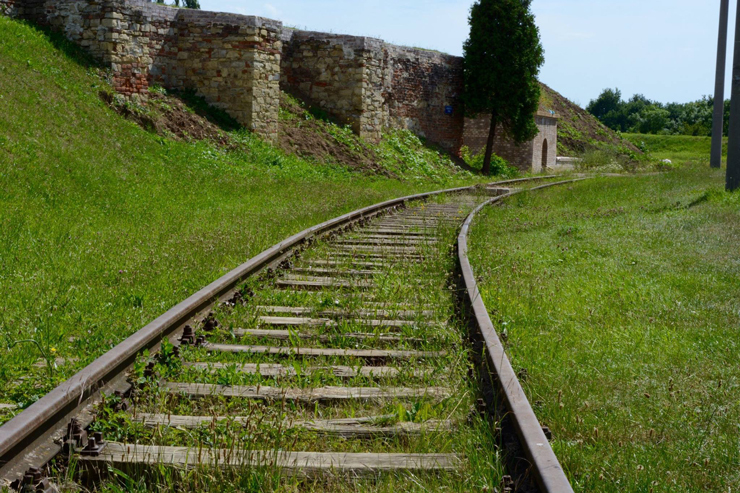 To recall a figure from a short film I had watched in the town earlier, on one day alone a transport train from Terezin destined for Treblinka carried 19,000 people, there were no survivors. Close by to the railway lines was a storage area of where the ashes of the dead were kept, upon realisation that they would not win the war and to try and hide what had taken place, soldiers at the camp emptied as much of the ashes into the local river as possible. There is a memorial by the river remembering the people who lost their lives. Most at this camp died due to starvation, illness and disease. This area now is a memorial of remembrance to those who were here. 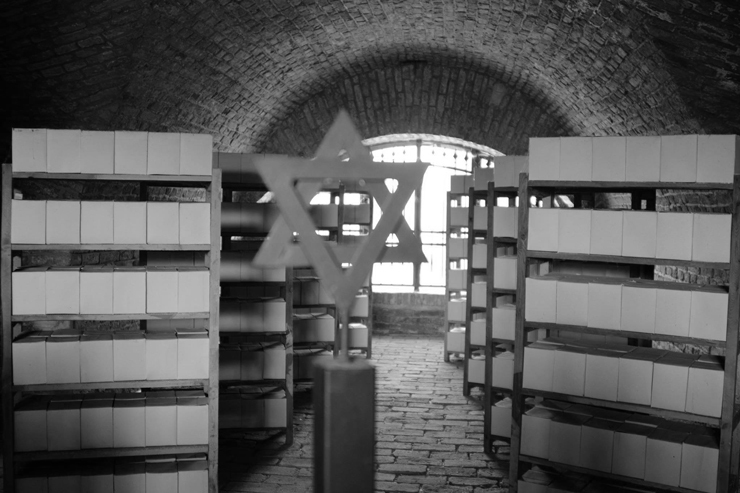 The last location within Terezin to visit was the crematorium and cemetery. This was not a pleasant place, it was at this point I paused and stood staring in reflection. 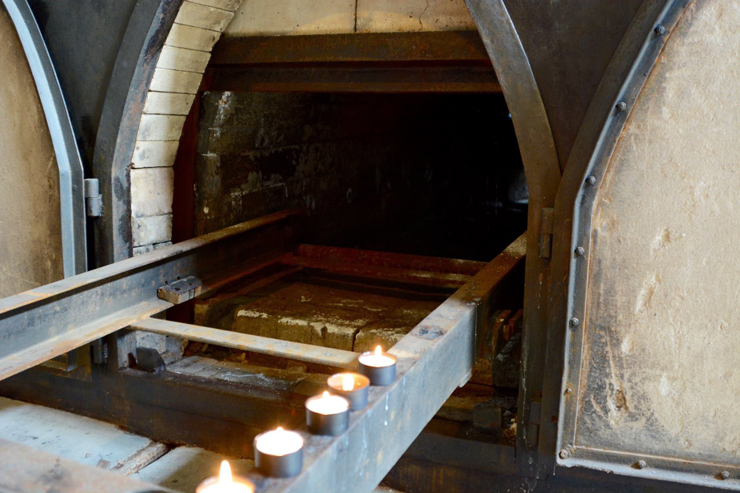 Four furnaces that had been modified to produce greater heat to process more bodies. I found the candles that had been placed onto one of the furnaces in remembrance very moving, the candle light flickering, to me saying you are not forgotten and never will be. 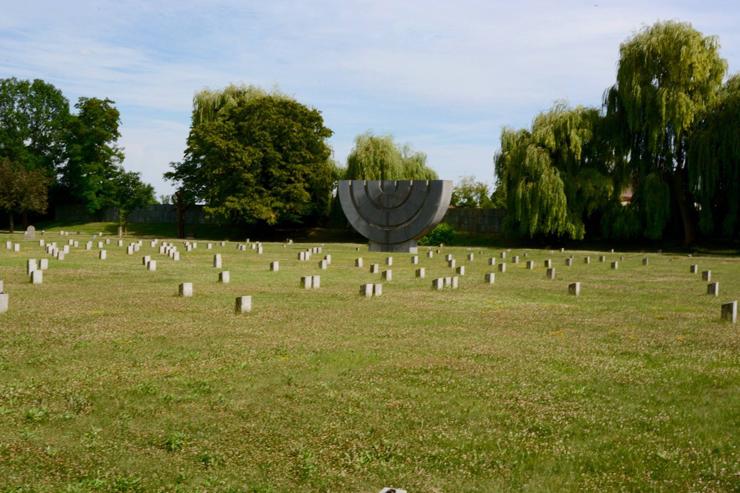 Outside was a vast cemetery overlooked by a memorial in the shape of a Menorah. Behind the cemetery is the river and the further memorial should people wish to look for it upon a visit. At the far end of the cemetery was a Russian military Cemetery, I took the chance to have a look before we then departed back for Prague after an emotional and thought provoking day. I’ve researched several locations for figures of the people and their fate who went through the camps at Terezin and I leave you with this. 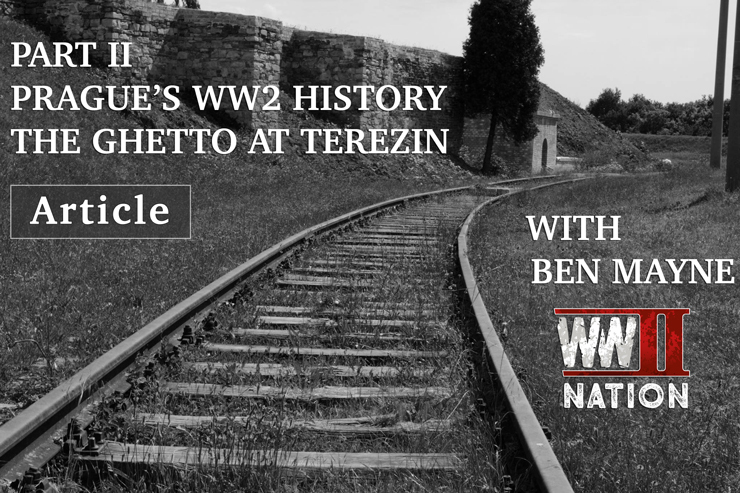 Thank you to Ben for sharing with us his incredibly moving experience of his tour exploring Terezin’s former ghetto, its history and all those who were housed here during this period.